BTX solves the tedious task of soldering 3.5-mm stereo cable mount connectors with the latest addition to the MaxBlox family of solderless connectors. The patent-pending CA-MX35M is a 3.5-mm stereo cable mount male connector that terminates with just a screwdriver and is ideal for use in applications where computer audio or IR control are used. The CA-MX35M consists of a 3.5-mm stereo plug with an attached screw terminal block, along with a two-piece, snap-together hood. 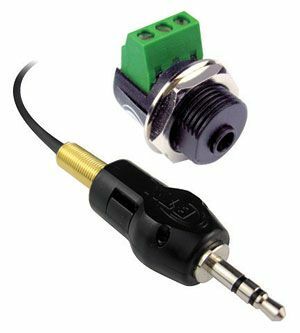 The rugged connector allows installers to terminate a 3.5-mm stereo cable mount plug without the use of a soldering iron, saving both time and money.